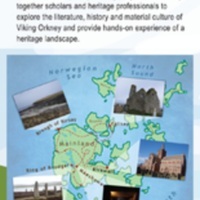 The banners were created by the ECRs Eleanor Rosamund Barraclough, Tom Birkett, Brittany Schorn and Marjolein Stern using images and material collected by PhD participants during the Field School in Orkney. 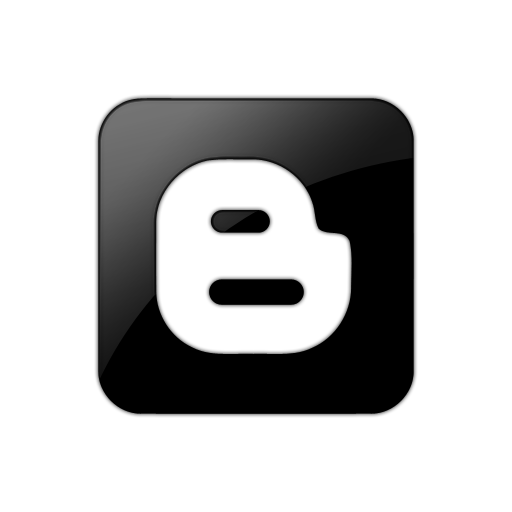 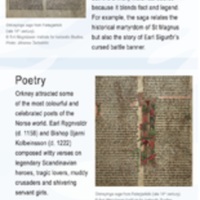 They were designed and produced by Annelies Stern. 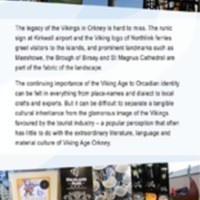 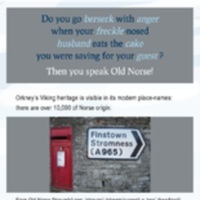 The banners were exhibited as part of a travelling exhibition on Orkney's Viking Heritage. 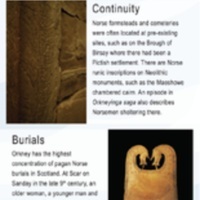 Created by the ECRs Eleanor Rosamund Barraclough, Tom Birkett, Brittany Schorn and Marjolein Stern using images and material collected by PhD participants during the Field School in Orkney.